News Corporation has handed over details of some of its journalists’ sources to police investigating allegations of criminality at its papers ‘on the grounds that they do not deserve protection’because there is evidence they may have paid them for information. The claim was made in today’s Times, which also reported that News Corporation’s Management and Standards Committee (MSC) – set up to investigate alleged criminal acts by journalists – decided that ‘the sources’ names or information that would help to identify them should be disclosed to police because they were not ‘legitimate sources'”. The National Union of Journalists said that as a result it had been contacted by whistleblowers who were told that they would be protected but who have now been fearing for the jobs and the risk of arrest. The MSC is now reportedly seeking to reassure staff that it is protecting confidential sources ‘by redacting names from documents’– however, this does not apply ‘if there is evidence that the source was a public official who may have been paid”. The Times also said that ‘it is not clear whether the MSC identified the sources without considering whether the publication of stories based on their information was in the public interest”. On Saturday five journalists at The Sun were arrested as part of the Met’s probe into illegal payments to police and public officials: deputy editor Geoff Webster, chief reporter John Kay, picture editor John Edwards, chief foreign correspondent Nick Parker and deputy news editor John Sturgis. A Surrey Police officer, Ministry of Defence employee a member of the armed forces were also arrested. The Met has confirmed the arrests were as a result of information provided to officers by the MSC. The MSC has so far been focusing on The Sun and News of the World but also plans to investigate The Times and Sunday Times, according to today’s Times report. The Press Complaint’s Commission’s Code of Practice reports states that journalists ‘have a moral obligation to protect confidential sources of information”. The NUJ said it had received calls from journalists and whistleblowers who feel ‘betrayed’by the MSC’s disclosures, including more than 300 million emails, expense claims, phone records and other documents. 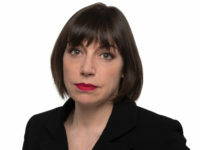 The union’s general secretary Michelle Stanistreet said: ‘The NUJ believes that newspapers should co-operate with the police where there is evidence of illegal activity, but making this material available without consultation with the journalists involved is unacceptable. ‘We are receiving calls from whistle-blowers who had been assured that they would be protected, and who now fear for their jobs and worse.